2018 will be our 131st year of making Murdick’s Famous Fudge in the Mackinac Straits area. 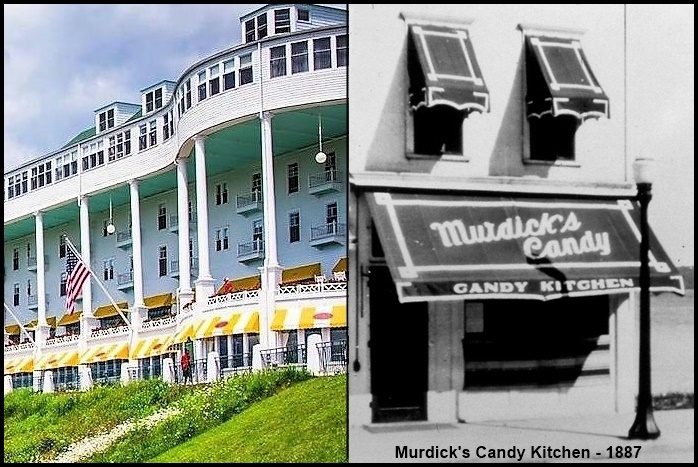 My great-grandfather, N. Jerome Murdick, and great-great-grandfather, Henry F. Murdick, started “Murdick’s Candy Kitchen” on Mackinac Island in 1887… the same year that the Grand Hotel opened. The story handed down from our ancestors is that N. J. (“Rome”) Murdick and his father, Henry, were boat builders and sail makers who built the boats that plied the Straits of Mackinac and would become known as “Mackinaws.” When the Grand Hotel was being built, it employed many local tradesmen…including the Murdicks; who were commissioned to make the (canvas) awnings for the 660 foot-long grand wooden front porch and façade (still, the longest in the world). But what the newly built grand… Grand Hotel… meant to Rome Murdick was that a great many more visitors would soon be sailing to Mackinac Island in the summer. And this gave him the idea that he might have a ready market for his candies (he dabbled in). Rome Murdick, along with his father, Henry, had developed a process of making fudge that would be unique in every way. Cooking the fudge in huge copper kettles to a precise temperature would allow the fudge to have a smooth (not grainy) texture and creaminess. But just as important as the temperature was to attaining that texture and creaminess, was allowing the fudge to cool sufficiently by pouring it onto a thick, smooth slab of Vermont Danby marble. Then, working the fudge gently and slowly so as not to make the sugar crystals reform but rather… remain smooth until it reached a set. The end result was a creamy, smooth, rich concoction that has come to be known as Murdick’s Famous Fudge. 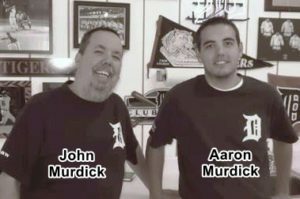 John and Aaron Murdick – 4th and 5th generation of Murdick candy makers – in their store on Central Ave., Mackinaw City. Now… 131 years later… The Murdick family is still making their sublime fudge the same way, using the same recipes, that Rome Murdick used and developed in 1887. 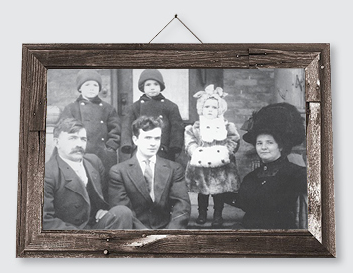 John F. Murdick, and his son, Aaron Murdick, represent the 4th and 5th generations of Murdick candy makers to carry on their family’s great heritage. They make their fudge daily along with their other incredible candies including peanut and cashew brittle, salt water taffy (still pulled on a hook by hand and hand wrapped), turtles, caramels and chews, hand-dipped chocolates, and pecan rolls. Murdick’s Famous Fudge is located at 219 E. Central Ave. in downtown Mackinaw City. Look for the navy and white striped awning. There are no longer any Murdick family members on Mackinac Island. The Island store was sold out of the family many years ago.